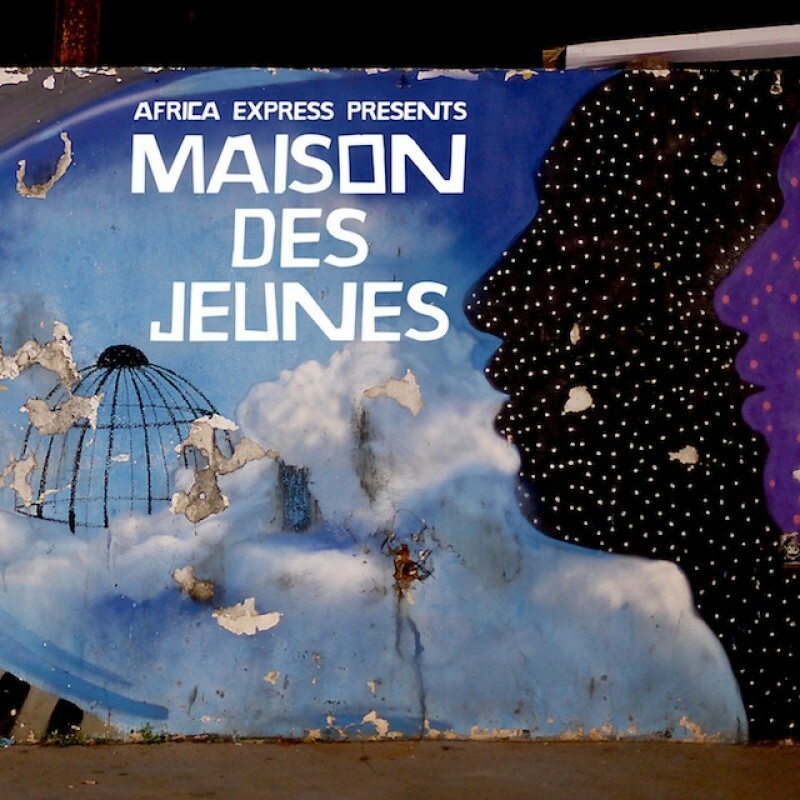 Transgressive Records is proud to announce the release of Africa Express Presents: Maison Des Jeunes, the debut album by music collective Africa Express, recorded during a recent week-long trip to Mali, which will be released digitally on the 9th December 2013, with a physical release to follow in early 2014. You can watch the video for 'Soubour' by Songhoy Blues on Pitchfork here. Highlights include Timbuktu indie band Songhoy Blues - formed in reaction to the jihadist occupation - teaming up with Yeah Yeah Yeahs guitarist Nick Zinner for their first ever studio session on track ‘Soubour'; the extraordinary soulful voice of 21 year old singer (and niece of the renowned Bassekou) Kankou Kouyaté complementing the music of her band Gambari; and British singer and producer Ghostpoet joined by the percussive beats of Bamako-based talking drum band Doucoura on the Damon Albarn and Two Inch Punch produced rap track ‘Season Change'. The full list of musician and singers featured are: Adama Koita, Bijou, Doucoura, Gambari , Kankou Kouyaté, Lobi Traoré Band, Moussa Traoré, Songhoy Blues, Talbi, Tiemoko Sogodogo and the Yacuba Sissoko Band - as well as Western producers and musicians André de Ridder, Brian Eno, Cid Rim, Damon Albarn, David Maclean (Django Django), Ghostpoet, Holy Other, Jeff Wootton, Lil Silva, Nick Zinner (Yeah Yeah Yeahs), Olugbenga Adelekan (Metronomy), Pauli The PSM, Remi Kabaka, Sammy Jay, Seye and Two Inch Punch. The album launch event on 9th December at Oval Space will feature debut UK performances by Songhoy Blues and Kankou Kouyaté, together with special guests and DJ sets from Ghostpoet, Olugbenga and David Maclean - plus the UK premiere of the film documenting Africa Express' 2012 train tour. Limited # tickets on sale Friday (15th Nov) at 9am - further info on Rockfeedback.